She posted a link to the pictures on her Facebook page and mentioned that it appeared the Sun was reacting to the object. See the pictures below. 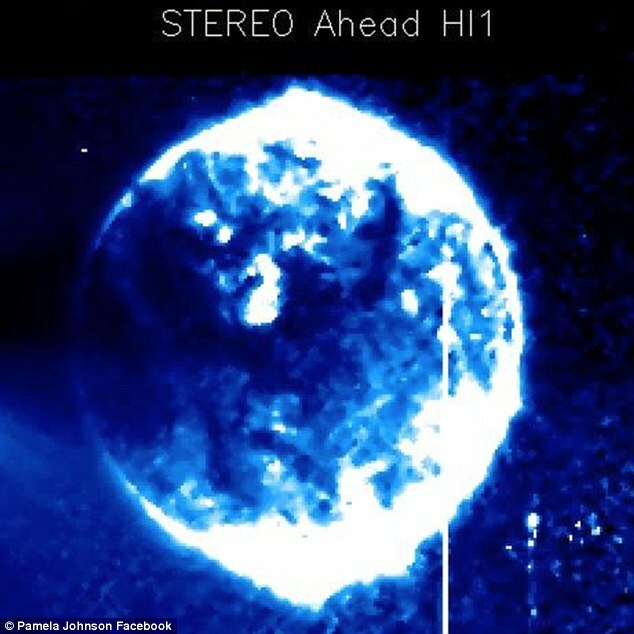 One skeptic suggested it might be a holographic image projected on to the camera screen like a glitch, however it appears the sphere is behind Mercury. Another person said it might be a rogue planet. 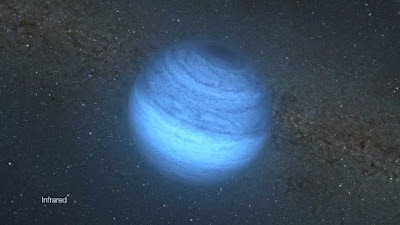 Rogue planets do appear to be seen as blue in infrared (see image of rogue planet below), but rogue planets usually move and are not known for disappearing so quickly. The sphere stayed still and was only seen for a few days starting on November 15th and now it is gone! I also found this article https://blogs.nrao.edu/askanastronomer/2012/11/02/bright-object-near-the-sun/ where a photographer was asking an astronomer what the object that appeared in his photographs near the Sun could be. 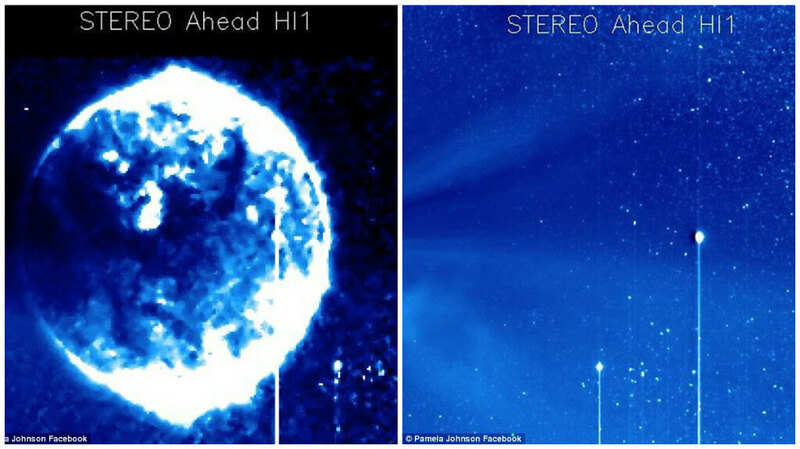 The astronomer answers that the object might not be astronomical...The mystery continues.